My Dwarf Alberta Spruces Are Dropping Needles. Are They Dying? 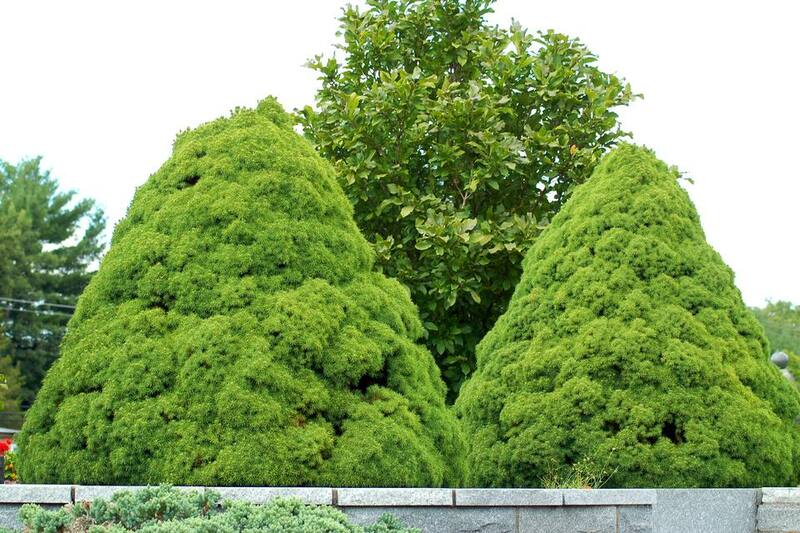 "I have two dwarf Alberta spruces that were planted three years ago in the front of my property. It is on a north side and the two trees flank the 4 foot deep, 12 foot wide area in the front of the house. I had all new plantings put in and they have been doing well until now. The two dwarf Alberta spruces are dropping tiny pine needles by the droves this April, one in particular. The other one is not doing as bad but I am afraid it will follow suit. Is there anything I can do to save them, or do I need to replace them? Is there a chance they will produce new growth?" You could transplant the dwarf Alberta spruces to a sunny area with good soil drainage. I would wait till fall to transplant, so the plant is not trying to acclimate to its new location during the heat of the summer. In the meantime, if you have a clayey soil and suspect the problem could be poor drainage, consider building a quick, makeshift French drain to improve soil drainage in the area.